Board members often express concern about raising money. However, there is finally a better way to tailor each unique leader’s involvement in fund development activities. 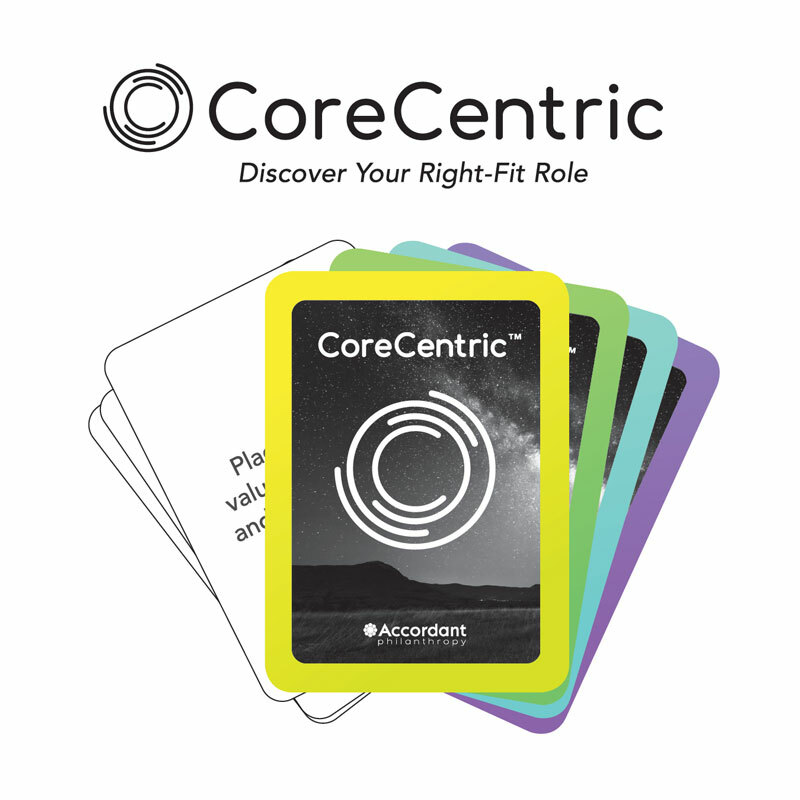 CoreCentric™: Discover Your Right Fit Role helps board members uncover clear and specific donor engagement activities that fit their own natural strengths, constraints, interests and preferences. This liberates leaders to focus on high-impact activities that are within their personal comfort and confidence zones. This simple, actionable (and dare we say it–FUN!) system has been embraced by board members as a straight-forward way to set their fear of fundraising aside and to get actively involved in advancing a cause they care about. This system can be used as a solitaire game or as a group exercise. For orders of 10 card decks or fewer, please purchase on Amazon.com; for discounted bulk orders of 10 decks or more, please contact us directly. A single CoreCentric™: Discover Your Right Fit Role card deck is $24.95 and can be used to play a solitaire version of the game; a discounted bulk pack of 10 decks is $225 with free shipping and serves a board of up to 25 members when used for a group exercise.